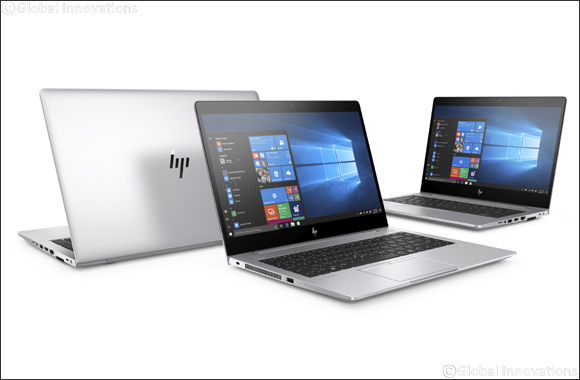 Dubai, UAE, May 13, 2018: Designed for the modern professional on the go, the new HP EliteBook 705 series PCs offer enterprise-grade security and manageability, along with powerful collaboration features to keep business users connected. Powered by Windows 10 Pro and AMD Ryzen PRO Mobile Processors, users can stay productive all-day with long battery life and HP Fast Charge to charge 50 percent of your battery in just 30 minutes. With a new modern slim design, the HP ProBook 645, powered by AMD’s Ryzen PRO processor, delivers a powerful performance, enterprise-grade security and manageability, and flexible configuration options. The precision-crafted design supports several docking options for easy transition and is designed to pass MIL-STD 810G testing for durability. Protect the PC against the evolving malware threats of the future, with self-healing, hardware-enforced, and manageable security solutions. The HP EliteBook 705 series PCs will be available in EMEA in May starting at AED 3,500. The HP ProBook 645 G4 will be available in EMEA in May starting at AED 3,300.